Starting your fitness journey can be intimidating. You’ve researched possible gyms and came across a fitness regimen named “CrossFit”. Your friends have mentioned it before and maybe tugged that string too many times. Anytime you think or hear about it your palms begin to sweat and your heart feels like it’s beating out of your chest. Why is this? Are you afraid of not fitting in? Afraid to meet new people? Afraid of leaving your comfort zone? Afraid to get your heart rate up and sweat in front of others? Worried about injury or failure? CrossFit has many emotional ties. If you stop to think it’s like many other new challenges we face. If you were starting a new job, would you not be asking yourself similar questions and thinking similar thoughts? What are the other employees like? How am I going to meet the company’s standards? Am I going to fit in? I’m worried I will fail and hurt financially. Finding a job or a gym that you enjoy is not just about the work or workout that you will be doing there but about their culture. The culture of a place is defined by the values of its owners. In order to find a gym you love you need to define your own values and find out whether the gym’s fall in line with those. No two CrossFit gyms are created equal. Just like people. Depending upon your values, the gym’s values, and the alignment of those values, your experience there would be completely different than someone else’s. As an individual my values have changed over the years. My values as a child evolved as I became a young adult to make my way in the world. What made sense to me when I was single no longer makes sense now that I’m married and I’m sure they will change again when I have children. As I continue to mature I’m am fully aware that my values may continue to change. This is why I try to define my values regularly. When my husband and I opened CrossFit Nexus we defined our values and over the past three years we were not afraid to change them. As Nexus grows and evolves we realize that there are values that work for the now that won’t work later. With this change in values, a gym’s culture can shift. It’s a natural part of the process. The first year of being open we realized that the culture we had created did not reflect our values as owners. We then revised and reinforced our values and the gym’s culture changed accordingly. Even CrossFit, Inc. is reshaping itself. After 18 years as a company, CEO Greg Glassman, realized that the culture of the company had shifted from health to sport. He is now working to de-emphasize the sport of CrossFit and make it reflect his vision of health. What are some values that you can find in CrossFit gyms that make up their culture? I’ve listed some that I have experienced and how they’ve been exercised. There are many ways that these values can be used and this is not an exhaustive list of values. Competition: the act of competing; rivalry for supremacy, a prize, etc. Members and coaches of these gyms think about what they do outside the gym and how it affects what they do inside the gym. They structure what they do outside of the gym to optimize what they do in the gym including diet, sleep, extra training, social activities, hobbies, and more. 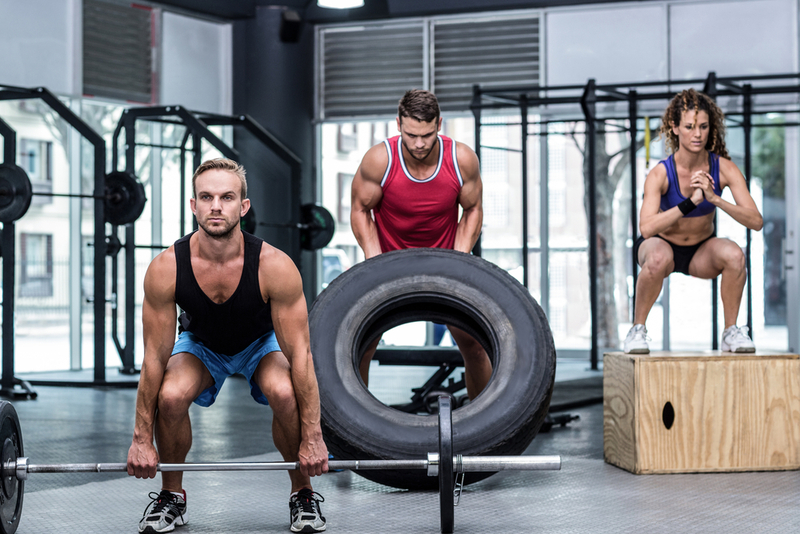 Members and coaches of these gyms focus on how the training they do inside the gym improves their enjoyment of what they do outside of the gym. The focus is on betterment within the gym to be strong and have energy for what they love to do outside of the gym; biking, hiking, playing with their kids, etc. Classes are capped to a smaller number of participants and lead by at least one coach. All participants receive one-on-one instruction at some point in class. Quality interactions are exchanged between coach and members. Members are called when they have been absent. Fellow classmates ask where they have been and when they will be back. The gym, as a whole, motivates each other to be consistent in reaching goals. Their desire is to drive performance. The gym is focused on member metrics and how to achieve excellence in every aspect of their training. Measuring things to their finest degree to see progress and work to enhance that progress. The gym desires to make the hour workout the best part of the member’s day. They want everyone to come in with a positive and playful mindset. The focus is on having fun, being true to yourself, being weird, and laughing often. These gyms want you to be the best version of yourself by being purposeful in all areas of life including diet, exercise, sleep, family, spiritual health, emotional health, etc. The want to to value yourself and strive for a balanced, healthy life. Commitment: the state or quality of being dedicated to a cause, activity, etc. These gyms believe that there is a process to making change and that without dedication to that process their members will not see success. They require commitment from their members and experiment or modify things to help members reach goals. The gym will hold you to the standard you want as long as you commit to being the same person that you are in private in public. They will own their flaws and weaknesses as long as you do. The gym constantly practices the art of gratitude. Reflecting regularly by verbalizing those things in which they are thankful for and adding joy to others lives by letting them know how they appreciate them. The gym realizes that learning is for life and through learning we find a better version of ourselves. They strive to keep their coaches and staff well versed. They also provide ways for members to enhance their education. The gym participates in giving inside and outside of the gym. They go above and beyond to give time, energy, and talent without looking for recognition. The involve their members in the process believing that it will help both them and the gym grow. The gym constantly asks about their needs and strive to provide for those needs. They believe in giving the members the tools they need to thrive. The gym helps people transform to overcome challenges and be proud of what they’ve accomplished. There is no one CrossFit gym that will fit everybody’s values completely. It’s about finding one that is similar and compliments your unique journey in life wherever you may be in it. I am a co-owner of CrossFit Nexus, CrossFit L-1 Trainer, and Dietetic Intern. I received my Bachelor’s in Nutrition and Dietetics from the University of Central Missouri and am currently an intern of the Wellness Workdays distance dietetic internship program. In addition to owning a CrossFit gym, coaching fitness classes, and interning, I love spending time outdoors and blogging. I chose nutrition as my profession because it illustrates my lifestyle changes, and my journey to health, wellness, purpose, and abundance. Making choices to live better both inside and out. At a young age I was fragile, through nutrition and exercise I became stronger, happier and more confident. Since then, I have had a growth mindset, consistently putting forth the effort to be the best version of myself that I can be. Challenges have motivated me to move forward, learn from mistakes and confidently pave my path to success so that I may help others do the same.